Peas in guacamole!? Whattttt. I know right, mind blown. But, why would you put peas in guacamole? I hear you ask. Well, the answer is simple my friend. These little green balls add a pop of sweet, creamy perfection to this delicious dip while keeping it bright green for dayz. The addition of peas boost this dips heath status as green peas are high in vitamin K, loaded with antioxidants and anti-inflammatory benefits, + they also support blood sugar regulation. 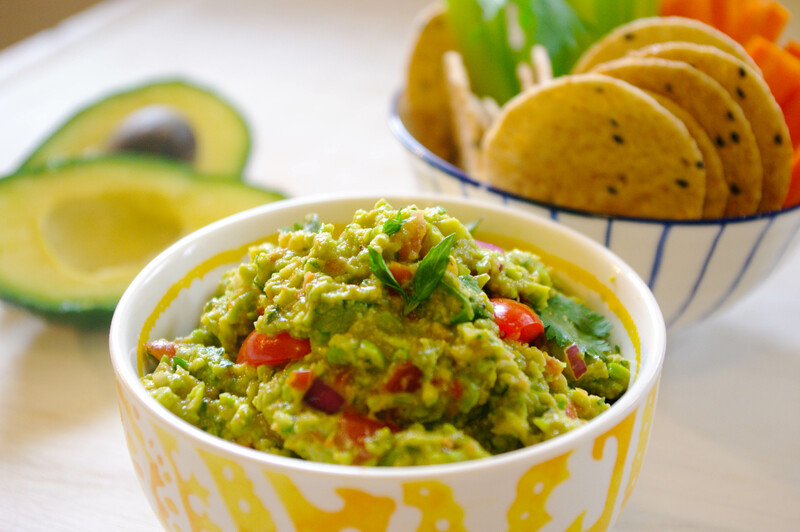 Place peas and avocado into a medium sized mixing bowl, add lime juice and mayonnaise, mash roughly using a fork. Add vinegar, olive oil, garlic, onion, coriander, tomatoes and cayenne pepper and mix well to combine. Season with salt and pepper, to taste and serve with vegetable sticks and brown rice crackers.